What is an Unhealthy Diet? We keep hearing a lot about consuming healthy food and the benefits of a healthy diet. Are burgers, French fries and Pizza always unhealthy? 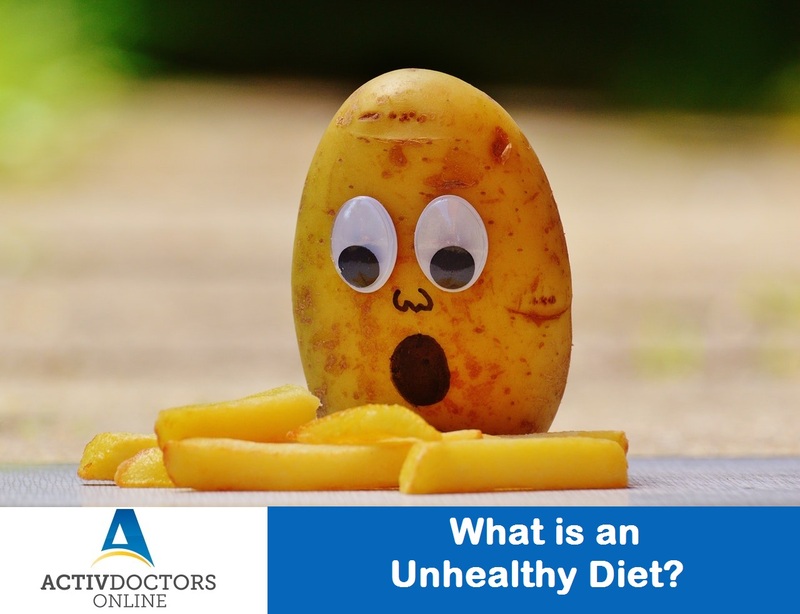 An Unhealthy diet is a diet that fails to provide essential nutrients to our body or a diet that is perceived to have little or no nutritive value. A Diet that contains too many calories, sugars and salts with very little or no fruits and veggies would be an Unhealthy diet. When is a diet termed Unhealthy? How to avoid binging on unhealthy diet? Moderation is key to everything.